"Following the successful volumes of Song on Record, this book surveys all the recordings of major choral works from the Monteverdi Vespers to Britten's War Requiem. Discussion of the various interpretations on record is preceded, in each chapter, by informed criticism of the work concerned, including--where appropriate--a clarification of editions, revisions, etc. (all the many changes in Messiah are, for instance, described in detail). The coverage of recordings is exhaustive and its value is enhanced by a detailed discography, with up-to-date numbers of each recording. 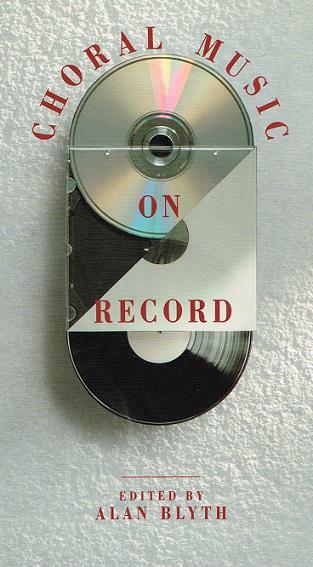 Each contributor is an authority within his or her specialist area and collectively, their insights and observations of leading music critics make the book invaluable to record collectors, music lovers and anyone with an interest in changing tastes and styles of musical performance. 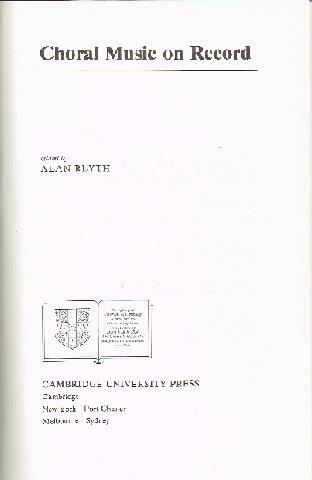 Alan Blyth, formerly with The Times (London) was the music critic of The Daily Telegraph. He was on the editorial board of Opera, the editor of the three-volume Opera on Record and two-volume Song on Record (CUP), as well as author of 'Remembering Britten' and 'Introduction to Wagner's Ring'."